UK-based Plastic Logic was founded via Cambridge University's research labs back in 2000. The company has just secured $100 million in financing. Naturally, financial backing happens to those with potential. With more than 60 employees, the company has managed to secure more than 50 patents. Investors include but are not limited to Bank of America (US), Intel Capital (US), Morningside (Hong Kong), Siemens (Germany) and Yasuda (Japan). Plastic Logic plans to build, and have operational by 2008, the world's first large-scale factory for the production of flexible electronic paper parts. Plastic Logic's semiconducting polymer backplanes contain the circuits that drive electronic paper displays but maintain flexibility near real paper. 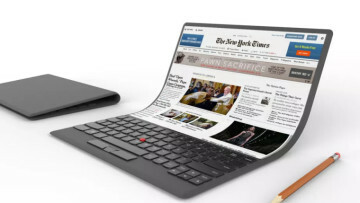 To actually produce the paper, the backplane must be fastened to a frontplane made with LCD, OLED, or E Ink technology. Frontplanes have always been quite flexible, but Plastic Logic managed to make the backplanes flexible as well. The backplane is an active-matrix, thin film transistor (TFT) display. Plastic Logic's innovation comes from being able to develop the displays from a solution and at a low temperature. The current prototype line creates ten displays a day but the full-scale factory, located in Dresden, Germany, is expected to spit out a million modules yearly. Assuming the electronic paper thrives, it is quite evident that Plastic Logic will go big. Jun 20, 2017 · Hot!